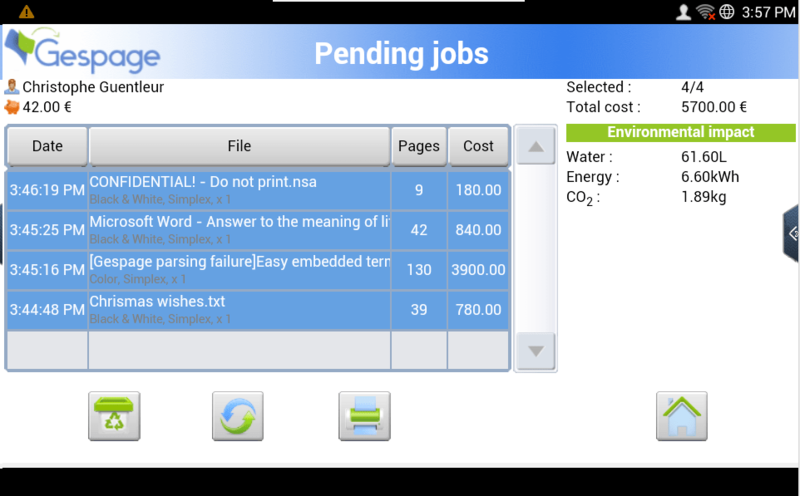 Samsung eTerminal is a Gespage software module dedicated to Samsung MFPs. This module uses the integrated touch screen of the MFPs. Access rights limitation to the MFP functions. 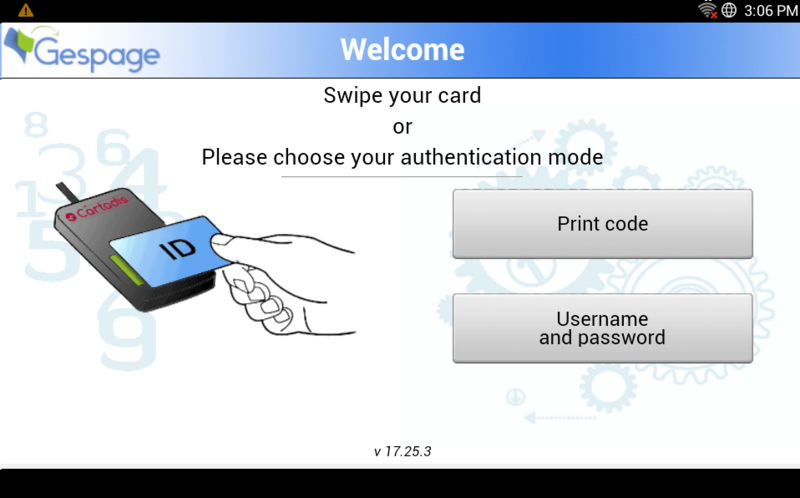 Authentication at the MFP may be carried out by entering a code on the touch screen or by using a card. The user must authenticate to access to the MFP services. After authentication, the user has a direct access to his pending prints. Pending prints can be printed or deleted from the screen for release of prints.